[Shell to Sea] See the report on the Shell to Sea protest at the launch of Mary Robinson's memoirs here. At the end of this article it states "Referring to a Shell to Sea protest outside the centre on her arrival, she said, that due to her role as an Iar-Uachtarán, she would not comment on matters that may come before the Oireachtas. A report by the Shell to Sea campaign group has claimed that taxpayers stand to lose out on 1.6 trillion in oil and gas profits. “Several international studies have found that the share of revenue Ireland receives is among the lowest in the world, less than half of that of comparable countries,” said the report, Liquid Assets, which has been compiled by Dublin Shell to Sea. Re Matt Cooper’s article (Sept 4) on oil and gas in Ireland disregarded the facts: there is no State ownership or State participation in oil and gas resources in Ireland — the commodity can and will be sold by the licence holders to whomever they wish and at market price. Shell instructed Corrib Gas Project supplier to falsify invoices? Last night Enda Kenny met with Mary Robinson for an evening soiree in Ballina Arts Centre to launch her new book. The title of her memoir, ‘Everybody Matters’ was a ironic reminder of the silence maintained by Robinson on the human rights abuses associated with Shell’s Corrib Gas project. Since 2002 Shell have been operating less than 35 miles away from her home in Ballina and over that time human rights concerns have been documented by international human rights organisations including Frontline Defenders (“Breakdown of Trust: a Report on the Corrib Gas Dispute http://ww.frontlinedefenders.org/files/en/corrib_gas_re...t.pdf). 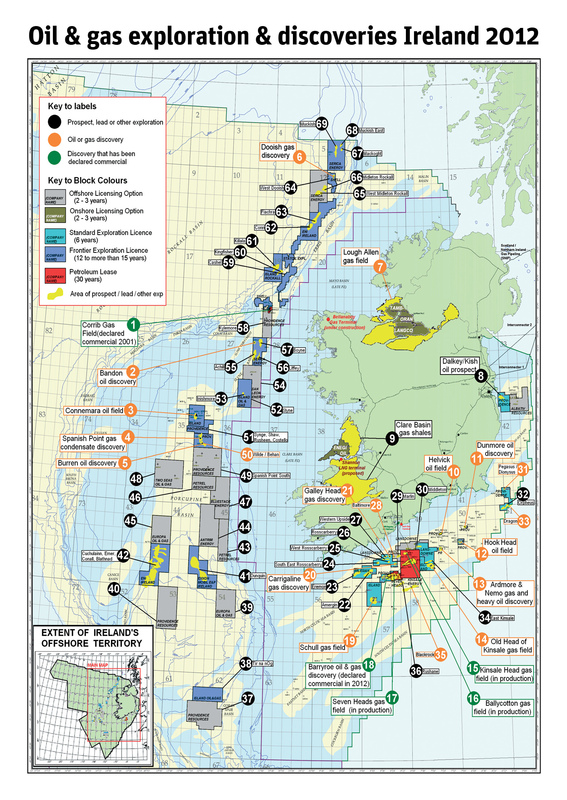 [Shell to Sea] The Commission for Energy Regulation (CER) in 2011 admitted that energy price rises would be ‘very likely’ if the gas from the Corrib field comes ashore. 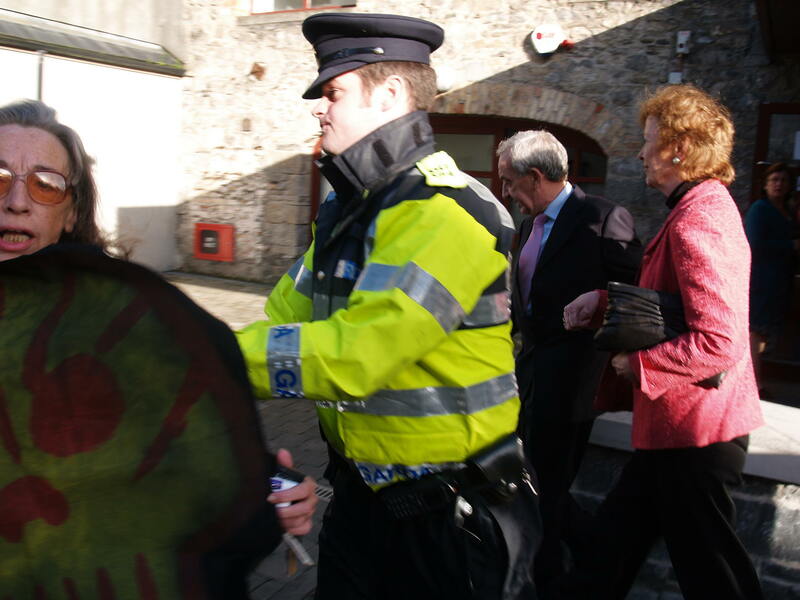 [Shell to Sea] With a special human rights research facility maybe Mary Robinson will finally get around to learning or mentioning the human rights of people effected by Shell's Corrib Gas project. New centre to honour former Irish president: THE BIRTHPLACE in Ballina, Co Mayo, of former president and UN high commissioner for human rights Mary Robinson is to be transformed into a visitor centre and research facility in the fields of human rights and women’s leadership. [Shell to Sea] Please be advised that the Tony O Reilly who is a significant shareholder in the Sunday Independent, also owns oil & gas exploration company Providence Resources. The point argued in this article is dealt with page 10 of "Liquid Assets"
The dogs in the street now understand that Ireland’s share of revenue from our oil and gas fields is set to be pitifully small, thanks to terms handed down by Ray Burke. It’s no longer just campaigners who want change. In May an Oireachtas committee with a majority of Government TDs issued a report calling for the terms to be radically overhauled. The oil companies are desperate to maintain the status quo. They defend their corner mainly by portraying our offshore as a lonely wasteland, where exploration is almost non-existent and where finding oil or gas is but a remote possibility. Our “attractive” terms (the world’s most generous to the oil companies) must be maintained until Ireland is a “proven territory”, they insist.